Place a large C-clamp over the brake caliper body and against the outer brake pad. Using the C-clamp, compress the brake caliper piston fully into the brake caliper bore. Using a backup wrench to hold the brake caliper guide pin stationary, remove the lower brake caliper guide pin bolt (1). Rotate the brake caliper upward and support with heavy mechanics wire or equivalent. 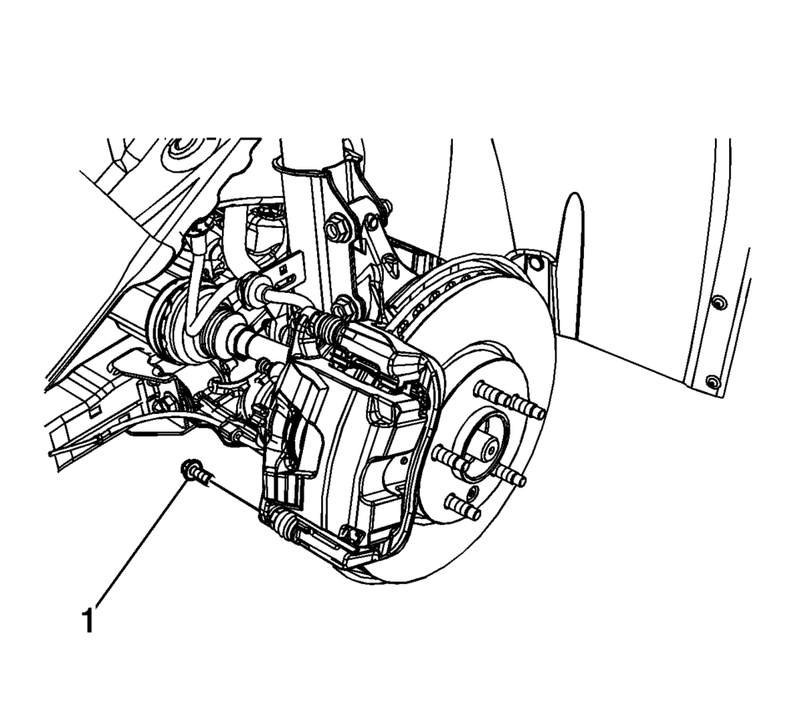 Note the location of the brake pad wear sensor for correct installation. 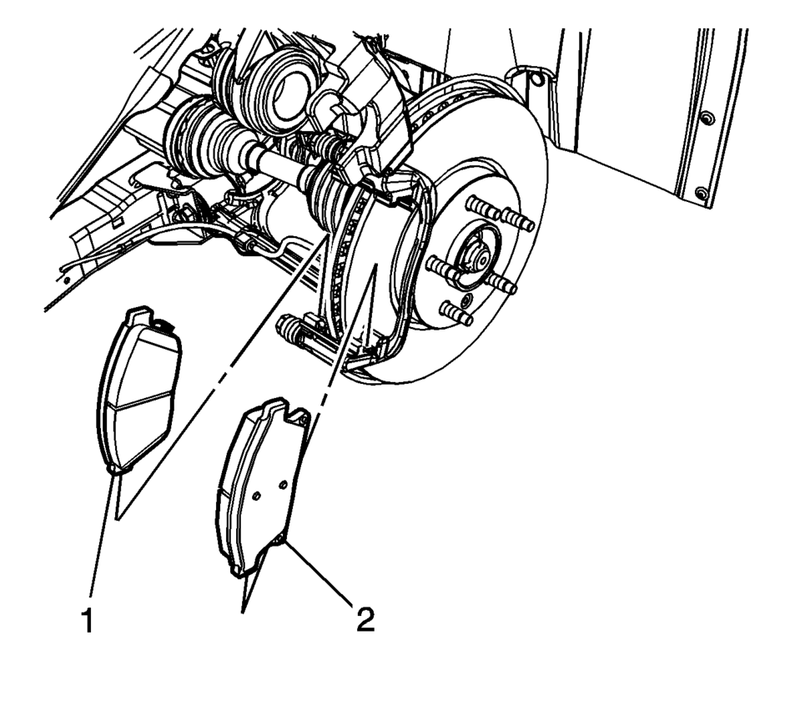 Remove the upper and lower brake pad springs (1). If installing new brake pads, discard the brake pad springs. 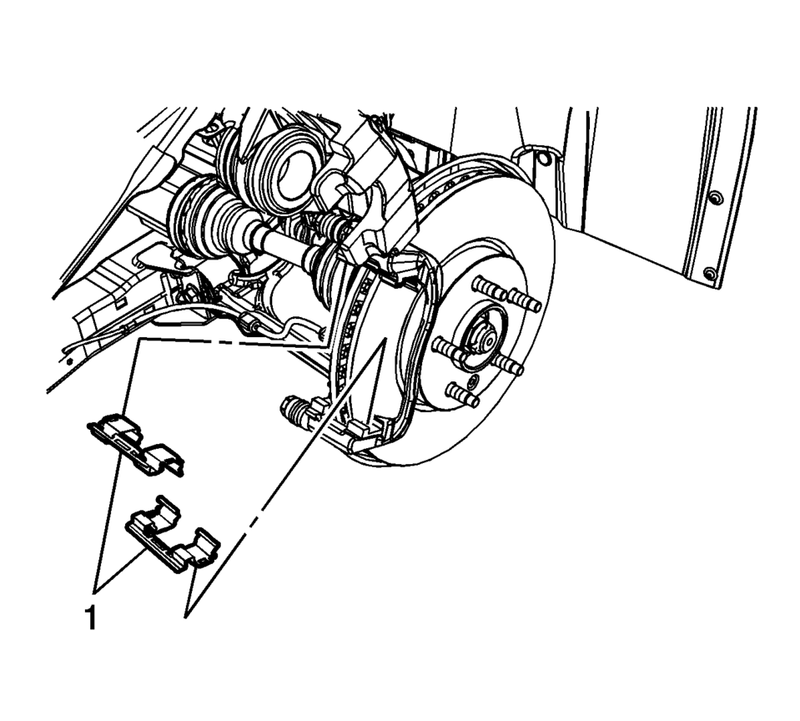 Install the upper and lower brake pad springs (1). Wait 15 seconds, then repeat steps 8-9 until a firm brake pedal is obtained. This will properly seat the brake caliper piston and brake pads.